Crumpacker's responsibilities have been assigned to other senior managers in his absence. 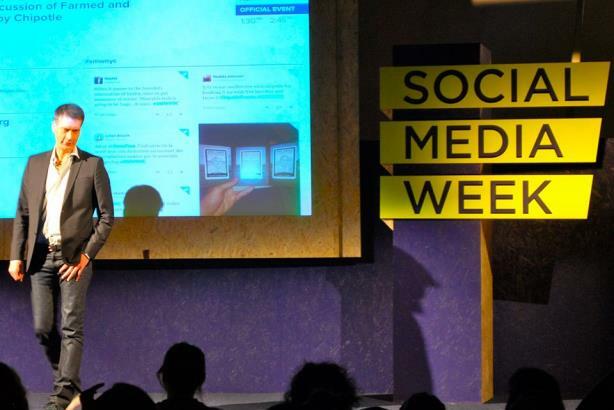 Mark Crumpacker speaking at Social Media Week in 2014. (Image via Chipotle's Facebook page). Chipotle Mexican Grill has placed chief marketing and development officer Mark Crumpacker on administrative leave following an indictment by Manhattan prosecutors involving the executive and a cocaine drug ring. Crumpacker, who was named Chipotle’s first CMO in 2009, was one of 18 alleged cocaine buyers indicted, according to various media reports. He is expected to be arraigned in the coming days, according to reports. Chipotle communications director Chris Arnold said via email that the company knows "very little" about the charges against Crumpacker. The decision was made to place Crumpacker on administrative leave in order to "remain focused on the operation of our business, and to allow [him] to focus on these personal matters," Arnold added. Crumpacker’s responsibilities have been assigned to other senior managers in his absence. Crumpacker was featured last year in PRWeek’s list of the top 40 marketing innovators to watch. The burrito chain hired Burson-Marsteller as its U.S. AOR in March, after splitting with previous AOR Edelman last fall due to a client conflict.